AleaSoft will celebrate 20 years as an expert company in energy forecasting, mainly of the European electricity markets, providing a solid scientific basis and long experience in the development of forecasting models for energy demand, renewable energy sources and electricity market prices. AleaSoft was founded in 1999 as a spin-off of the UPC (Universidad Politécnica de Cataluña) and since the beginning it has allocated part of its resources to Research and Development. AleaSoft is a forerunner of the fourth industrial revolution with the use of innovative techniques of Artificial Intelligence, Machine Learning and Big Data in the electricity sector since its inception. 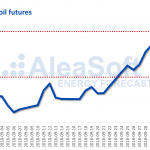 AleaSoft offers solutions for forecasting in the energy sector at the short, mid and long term, providing its clients a set of products and services in the field of energy demand, renewable energy sources and electricity market price forecasting. Among the renewable energy sources, AleaSoft provides forecasting for wind power, thermosolar, photovoltaic and hydroelectric energy production. AleaSoft provides its products and services to all the players in the energy sector: Utilities, Transmission System Operators, Traders, Retailers, Large Consumers, all kind of Generators in the electricity industry, and also Banks and Mutual Funds. 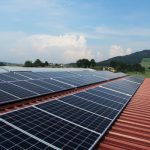 With the increase of PPAs, AleaSoft supplies long term forecasts to the developers and managers of electrical infrastructures, as well as investors, banks and potential renewable sources energy purchasers in all the European markets. In the course of these 19 years, among its clients can be mentioned some of the main agents of the European electricity markets, such as Endesa, Iberdrola, Gas Natural Fenosa (Naturgy), Viesgo, EON, BP, Shell, Engie, Enel, EDF, REE, Terna, PPC, ELIA, Statnett, Statkraft, Fortia, Siemens Gamesa, HSE, Axpo, BBE, EP Produzione, Aventron, Canadian Solar, Trina, Alerion, IM2, EDP Renovables, FRV and Sonnedix. More than 75% of the electricity traded in the Spanish wholesale electricity market is based on a strategy that uses AleaSoft price forecasts as a reference. During these 20 years AleaSoft has been penetrating in the different European markets and aspires to expand their services in the energy forecasting sector worldwide.